Computer software, as a type of work, could be the subject of copyright law. Whether or not a software is copyrightable depends on two basic factors -Originality and Idea/Expression Dichotomy. Both U.S. and Chinese Law and practice shall be discussed herein since the U.S. statutes and application effects a lot to Chinese. Expression and Idea Dichotomy is one of the basic principles of copyright law - that only expression shall be protected by copyright law, rather than the idea. It limits the scope of copyright protection by differentiating an idea from the expression of said idea. The doctrine is widely recognized in both the U.S. and China. With regard to software, however, the line between idea and expression in copyright is extremely hard to draw. The merger doctrine applies to ideas which can be expressed only in one or a limited number of ways. If the expression merges with the idea, the expression itself cannot be protected by copyright law. If the expression can be protected by copyright law, the idea of the expression is inherently protected by copyright law, which creates an unreasonable obstacle to the future use of the idea. The doctrine is widely received and applied by U.S. courts, such as Apple v. Flankin. In Apple, the court held that, with regard to software, if the same idea can be expressed in various and different ways, then it can be protected under U.S. copyright law and does not constitute infringement. Currently, the merger doctrine has been adopted in Chinese Law and practice. As stated in article 6 of Regulation for Computer Software Program issued by State Council, software program copyright protection shall not be extended to the ideas, processing operations, operating methods or algorithm concepts for creating the software. In China practice, Chen Jian v.FuShun Wanpu Co., Ltd, regarding copyright infringement is a typical case regarding merger doctrine. One of the issues in this case is whether or not answer sheets are copyrightability according to merger doctrine. The Szechuan Province Supreme Court held that ideas and intellectual methods are not protected by copyright law. Photographic works which are stipulated in Regulations on the implementation of copyright law are referring to design drawings or maps which express the author’s idea. However, a simple form of general use is just expression of idea which is confined to one or limited numbers,the way of expressing said idea shall not be protected by Chinese copyright law as well as said idea itself. Accordingly, the court held that the answer sheet in this case shall not be protected by copyright law. The Whelan method comes from a U.S. Federal Circuit case, Whelan Assocs., Inc. v. Jaslow Dental Laboratory, Inc., which is an iconic case to interpret the expression and idea dichotomy for computer software. With respect to whether or not the copyright protection shall be extended to "sequence," "structure," or "order," the Third Circuit held that the purpose or function shall be considered when trying to distinguish the line between idea and expression. In other words, the purpose or function of a software shall be regarded as the work's "idea," while everything not necessary to achieve the purpose or function shall be regarded as the expression of the idea. In Chinese practice, whether or not an element of software is a subject of copyright also depends on the methods to achieve the goal of the element of the subject software. 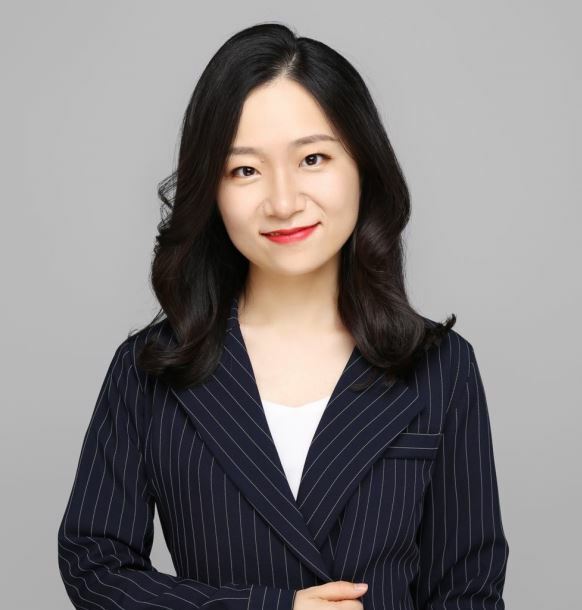 According to Changsha QinGuo Tech Co.Ltd v. Changsha Chengguang Tech Co.Ltd, the Court adopted Whelan case’s method and decided that: a piece of software can be expressed in various ways such as resource code, objective code, and microcode. If there are several ways to achieve a goal and they are not limited, these ways shall be regarded as expressions, not ideas. Therefore, structure, sequence, and organization shall be regarded as the expression of the software, and fall within the scope of Chinese copyright law. The Whelan method illustrates that the scope of software copyright protection can even be extended to non-literal elements of the software. The Abstraction-Filtration-Comparison test is a widely used approach to differentiate idea and expression in a software and was developed in Computer Associates Int. Inc. v. Altai Inc. This test has been widely adopted by the United States courts and is recognized by Chinese courts as well. Whether or not copyright protection covers the non-text part of the software is also a key issue of Computer v. Altai. The Second Circuit Court of Appeals overturned Whelan and adopted the Abstraction-Filtration-Comparison test. Specifically, the court contended that the Abstraction-Filtration-Comparison test includes three steps: abstract the elements of each level of the software module. Second, remove the uncopyrightable elements of the software. Third, compare left elements with plantiff’s software program. Based on the Abstraction-Filtration-Comparison test, the court held that copyright protection cannot be extended to "sequence," "structure," or "order,"which is totally different from Whelan v. Jaslow. The regulation in China on idea and expression is very limited. The Notice On Shenzhen Dihui Tech Co, Ltd. v Zhangwen Lian Regarding Computer Software Copyright Infringement Case issued by the Supreme Court, as a judicial interpretation, draws a relatively clear line between the two. It stipulates that: “parameter is the idea in programming rather than expression; interface is the result of the program when it is running, rather than the program itself. Running various programs may lead to the same interface; the structure of the database is neither a computer program or the database itself…” At least it can be read from the Notice that 1) the parameter belongs to idea not expression thus it shall not be protected by copyright law; 2) interface and database structure do not be regarded as computer program. However ,this judicial interpretation only shows a initial standard in clearing the line between idea and expression in computer program The interpretation and application of the Expression and Idea Dichotomy are still in progress and there is still a long way to go.As the line between ideas and expression is still unclear, a close eye on the development of this issue is worthy to be kept. The doctrine is stated by 17 U.S.C. § 102, In no case does copyright protection for an original work of authorship extend to any idea, procedure, process, system, method of operation, concept, principle, or discovery, regardless of the form in which it is described, explained, illustrated, or embodied in such work. Whelan Assocs., Inc. v. Jaslow Dental Laboratory, Inc. (3rd Cir. 1986). Factors as below shall be taken into consideration at the second step-Filtration. c.Elements taken From the Public Domain. Id.